Looking for an Edmonton family dentist? Look no further! At our Edmonton family dental office, we stand behind our work and will provide professional, quality care to all of our patients. Skill and compassion go hand-in-hand when providing exceptional patient care at Dr. Derek Fika Family Dentistry. patients are unique individuals who have placed a great deal of trust in them. That is just one reason why Dr. Derek Fika Family Dentistry values each and every patient's relationship. We appreciate the time you’ve taken to visit this site and learn more about our Edmonton dental clinic, the team, and the many services we can provide to help you achieve optimal oral health. Dr. Fika was born and raised in St. Paul, AB. After graduating from high school, he earned his undergrad and Bachelor's of Science from the University of Alberta. There, he followed his passion for dentistry obtaining his Doctorate in Dental Science and Dental Surgery. 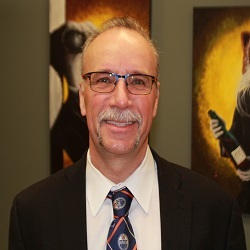 Dr. Fika is known in the community for his supportive involvement with many programs such as Start School Smiling, Boyle's McCauley Centre, Cross Cancer," Bronze Sponsor" of Sexual Assault Centre of Edmonton ( SACE), Wheelchair Rugby, and Multiple Sclerosis. He is also very supportive with local youth programs. Dr. Fika cares for the community and its overall health. Dr. Fika stays involved with the University of Alberta doing dental admission interviews; he belongs to the World Clinical Institution of Laser Technology and Implant Study Club. Family is very important to Dr. Fika, being married for 30 years with five children. He has a soft hand and a soft heart when treating children. Dr. Fika provides optimal dental health care for his patients and takes pride in having his exceptional family practice with a great dental team for more than 30 years now. Dr. Fika provides comforting care along with state of the art technology to give his patients the best dental health possible.